A medical blog described Sharon's final years: "With the help of modern medicine, his body soldiered on. His kidneys no longer worked, and he received dialysis to keep them operating. In 2013, he even underwent surgery to treat an infection related to his kidney failure." The impact of the path on which Sharon set Israel resulted in today's self-imposed isolationism. 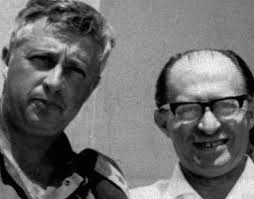 Thanks to the legacy of right wing leaders like Sharon, and Menachem Begin (shown together above in a 1967 photo) Israel has been unable to resist the impact of a boycott movement that has attacked Israel's economy and undermined its world image. As a demonstration of this isolation, no foreign leaders attended his final service, which was conducted Monday in front of the Knesset. The highest ranking world figure at the service was U.S. Vice President Joe Biden, a politician with an eye on 2016, who appeared as concerned about Israel's close bond to the U.S. as he was about Sharon. It is a measure of how far Israel has fallen in world esteem that when the assassinated Israeli Prime Minister Yitzhak Rabin was buried in 1995, a sitting U.S. President and two former U.S. presidents were in attendance. 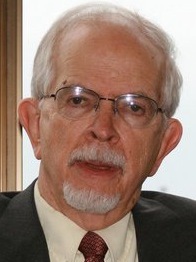 Egypt was the only Arab state to send a low level representative to Sharon's service. The last eight years have not been good for either Israel or a comatose Ariel Sharon. If you read or look beyond the mainstream media, It is not hard to see why. "A central player in Israeli affairs since the state's inception, Ariel Sharon molded history according to his own stark vision. He won consent for his plans through ruthlessness and guile, and resorted to force when he could not find any. An accused war criminal who presided over the killing of thousands of civilians, his foes referred to him as 'The Bulldozer.' To those who revered him as a strong-armed protector and patron saint of the settlements, he was 'The King of Israel.'" Months prior to his stroke, Sharon "stunned" the world by forcibly withdrawing 10,000 Israeli settlers (and their military protectors) from Gaza. "Stunned" is the word used by Israeli narrators and repeated endlessly by media sycophants. It paints Sharon as a strong leader willing to work for peace. The Gaza withdrawal was not stunning; it was a shrewd, calculating, strategic military move to end a Gaza occupation that was not benefiting Israel. "Gaza suffers under a joint Israeli-Egyptian siege, while Israel shrugs off any responsibility for its inhabitants. Though Israel controls the entrances, exits, airspace and coast of Gaza, and effectively regulates the caloric intake of each resident of the coastal territory, the occupation is over as far as its government is concerned." "Israeli settlements are firmly entrenched in the West Bank and encircle East Jerusalem, reducing Palestinian areas to the 'pastrami sandwich' of non-contiguous bantustans that Sharon had originally envisioned. With the peace process effectively embalmed in political 'formaldehyde,' right-wing elements have achieved unfettered dominance over the Jewish state's key institutions."